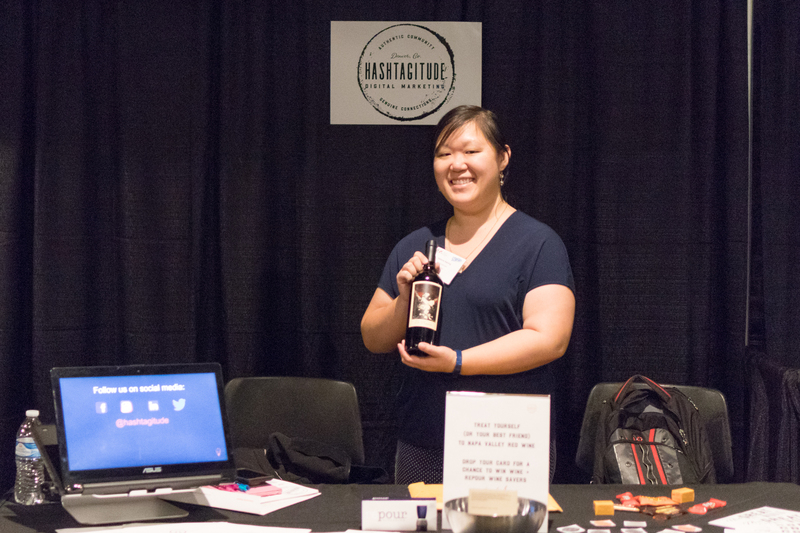 We recently hosted a vendor booth at the Denver Metro Chamber of Commerce’s Net90 Marketplace. On Halloween in 2007, I decided to sign up for NaNoWriMo on a whim; I was inspired by my friend Lesley, who was also participating in NaNoWriMo then. I completed my first novel that year, thanks to NaNoWriMo. Ten years later, in 2017, I am sitting out of NaNoWriMo in a rather bittersweet way. Over the course of these ten years, I have participated in the annual write-a-thon seven times, winning (aka writing at least 50,000 words) three of those years (2007, 2008, and 2010). Even though I see that several friends are participating in the event this year, I still am sitting out this year. It’s not that I don’t enjoy writing anymore: I’ve professed before that writing will always be my lifelong passion. However, I am writing daily as I work on Hashtagitude and its clients: writing constantly, writing more pointedly, with my marketing acumen sharpening day by day. At the end of the day, my creative writing suffers a bit. Even with this blog, I have rarely updated over the last 2-3 years. At the end of the day, I have few words left in me to write. But, to celebrate that joyful excursion into the world of NaNo (and, an homage to my friend Lesley, whom I only just recently learned passed away three years ago), I am doing something else for the month of November: I am doing daily Instagram Live broadcasts on my personal Instagram for five minutes. Since going into business for myself in 2012, I haven’t been as vociferous about my life outside of my career and my businesses. So, on these daily broadcasts this month, I will be talking about various aspects of my life that are NOT business-related; just so, you can learn more about who Helene is. I plan to broadcast about 8:30am/9am on weekdays and perhaps around 10am or so on weekends (all Mountain Time). The replays will stay up for 24 hours, so you will be able to tune in throughout the day. I hope you will join me on this month-long journey. Previous Previous post: Working to Live or Living to Work? Next Next post: Goodbye, 2017. Hello, 2018.